National Stadium in Warsaw, one of the main arenas of the European Football Championship in 2012, will be officially opened on 27 August. On that day, there will be an artistic event called “Energia pokoleń” (Energy of Generations). Three weeks before it, on 6 August, motocross competitions will be held at the National Stadium, however the opening ceremony will be on 27 August. On 6 September football match Poland–Germany is planned. – Motocross competitions will be the first test sport event, while the official inauguration of the stadium, with speeches given by the invited guests, will be the event called “Energia pokoleń” (Energy of Generations) – said on Thursday the representatives of the National Sports Centre. The names of the invited artists and the scenario are still secret. In the official announcement on the NCS website it is stated that “the opening ceremony, the scenario of which was selected by means of a nationwide contest, will be an unique event, full of surprising special effects, amazing choreography and music”. The organizer of the “Energia Pokoleń” event is the National Sports Centre, and the contractor is ARS Communication. Those responsible for the event are, among other: Giorgos Stylianou (director of the event) Adam Sztaba (musical manager), Artur Szyman (lights) and Remi Kasztelnik (sound). 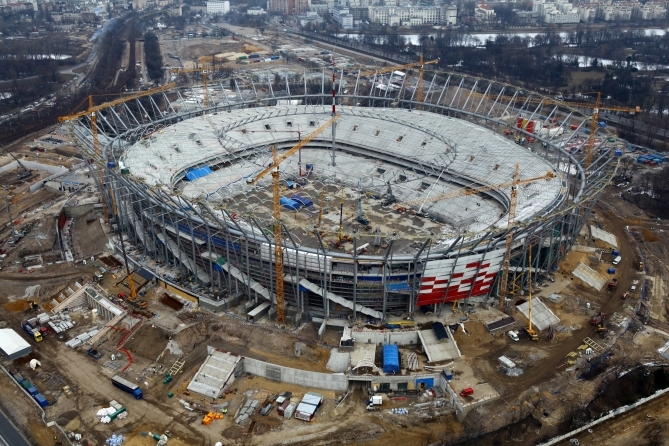 The National Stadium in Warsaw will be one of the arenas for the European Football Championships in 2012. Group matches, quarter finals and semi-finals will be played there. The stadium will be officially put into use on 22 July. 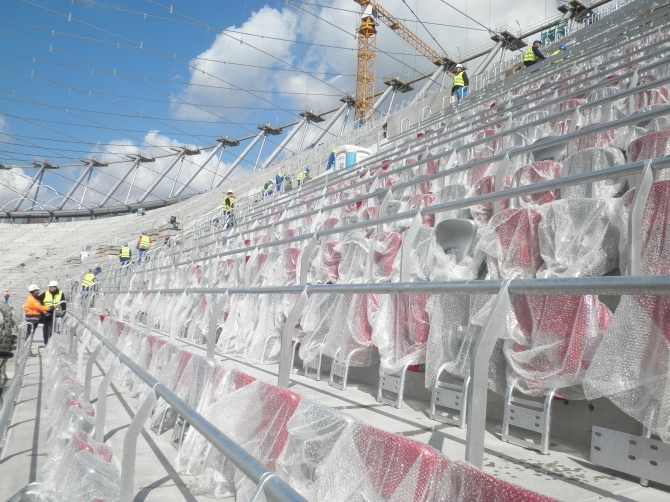 The stadium was designed by JSK Architects Ltd., GMP International GmbH and Bergermann Schlaich und Partner. 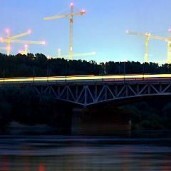 Construction works began in October 2008, and its cost is estimated at 1.915 milliard PLN. The stadium can accommodate 55.000 people. The total area of the facility will be 203.920 square meters and the total roof area (including part of the sliding part) – four hectares.